When I first started this blog about 18 months ago it was because I was quite miserable stuck at home and penniless. Well I am still stuck at home and penniless and this morning things got worse again. I can't tell you why ... suffice it to say that the 'contingency money' I've managed to save out of our generous Christmas present from my mum will now have to be spent as well as our holiday money (same source) and probably the little fund set on one side for the car maintenance as well. Things had been looking up, the estate agent lady finally conceded that our old house was larger than your average terraced house and stopped trying to get us to drop the price again - the OH has been asked to go on a complicated Health & Safety course for CAMRA (Campaign for Real Ale) for use at this year's Great British Beer Festival that might even help his job prospects and security and we have made progress on getting funding for the Barnsley War Memorials Project so I might be able to afford a few more prints and copies from the Archives soon. 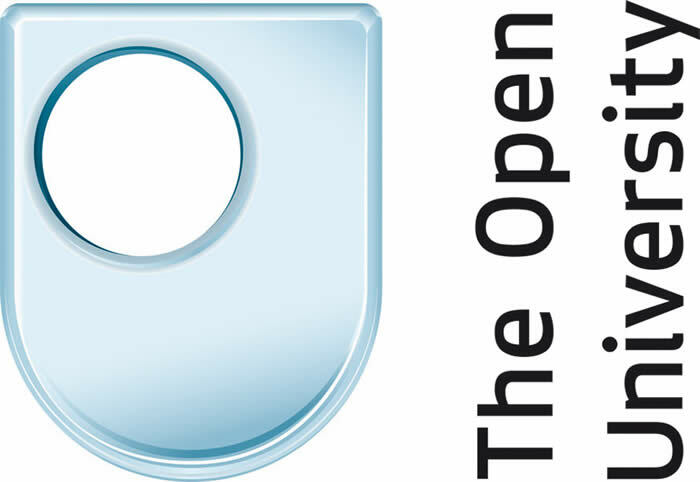 On the downside my Open Uni course continues to get worse - not the course as such, although it is hard and the current topic - student unrest in 1968 - is overdone and contentious - but rather the interaction with my fellow students and the lack of any useful feedback from my tutor. Let's put it simply, for my last essay he told me my three page, 39 item, bibliography was 'not exhaustive' and for the one before that he criticised me for missing out some full stops - in the bibliography again. Bear in mind that these essays are only 2000 words long, I even edited a few items out of my bibliography that I had read but hadn't used a reference from when it overflowed the three pages. And as for my fellow students - most who contribute to the official forum are nit picking military history enthusiasts. (It's a module about the history of Europe 1914-1989) The ones who interact on Facebook range from said military history enthusiasts (and to be fair I'm sure my current fad for war memorials is equally boring to most people) to overworked young people who seem to be trying to juggle full time work, family responsibilities and a social life with their study. Their assignments are all last minute, they always have extensions, they leave their bibliographies until AFTER they've written the essay! Typical students then ... except that wasn't the kind of students the OU used to attract when I first started studying with them 16 years ago. There used to be a lot more older people and disabled people who just couldn't access or cope with a proper full time bricks and mortar uni, so had chosen the OU for its accessibility and flexibility. It's all to do with the change in the way they charge for the modules and the new regulations about finishing your degree in a certain amount of time. I used to like studying for fun, if you can believe that! I went down to Birmingham last Saturday with the OH to take minutes at a Great British Beer Festival meeting - I have actually resigned from the post, but my replacement had a wedding invite so I agreed to step in to cover. It was, apart from the family complications (we dropped my mum off to see my brother for a few hours), a nice day but towards the end as I remembered that I wouldn't be attending the actual festival I got very sad about the whole thing. GBBF has been a large part of my life for over twenty years and this will be the first one I haven't been to since I joined CAMRA. I've had an unbelievably nice offer from a friend to give me a lift down for the last weekend - but I daren't say yes. I told everyone I wouldn't be back and I have no job to do when I get there. It would be blatant free loading and I don't agree with that sort of thing. My mum insisted I use the money she gave me for my birthday for things for myself, so I went to the opticians to get my eyes tested. It had been two years since my last test and four years since I had new glasses last. I hadn't been having any problems with my distance vision, but reading was easier without my glasses (I am mainly shortsighted) so when the optician recommended a separate pair of reading glasses as well as new varifocals I didn't mind. 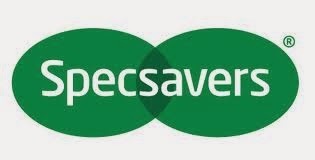 The price - even at Specsavers - was fairly dreadful, all my birthday money and then more out of dwindling contingency. Unfortunately the new varifocals are horrible, fuzzy vision to the sides, fuzzy vision going downstairs, headaches, increasing to neck and shoulder pain as I tense up with the headaches. Today I'm wearing my old glasses again. Specsavers say it isn't their lenses (same frames as I had before so it's not the shape of the glasses) so I've got an appointment with my optician to have my prescription tested. More money no doubt. The only other thing I can think of is to have just distance lenses in my new frames and keep swapping glasses. That way I would be able to see to walk around without getting dizzy and still be able to read with the other pair. I don't know how this will work with using a computer for hours on end though and I doubt Specsavers will give me any money back for the cost of the varifocals that don't suit or aren't right. Anyway I promised two kind friends on Facebook this morning that I'd go to the local library to try to borrow some books for my next OU essay by interlibrary loans ... I'm not hopeful, but it's a positive thing to try to do. There would have been some available at Barnsley Central Library, but that's closed now for the move to Wellington Street and it won't reopen until after my essay deadline. Failing the local library working wonders I can see no option but a trip to the Uni library in Sheffield, which given that my disabled travel pass won't work on trains from next Monday would be three buses there and three back a total journey time of 1 hour and 40 to 50 minutes each way depending on the connections. I can still catch the tram in Sheffield - but it goes from the railway station, not the bus station of course so a bus for that bit would probably involve less walking. Hundreds of people objected to the move of Barnsley Library - it's so they can sell the land to the local college for a new 6th form centre - but it was already a done deal and the building at Wellington Street is only handy for the Wetherspoons and the Credit Union and a long walk from the bus station so I don't think many old or disabled people will be using it. I keep telling myself it could be a lot worse ... but at the moment that's not helping.